Earlier days, people invite their guests traditionally by calling or sending them printed invitation cards. 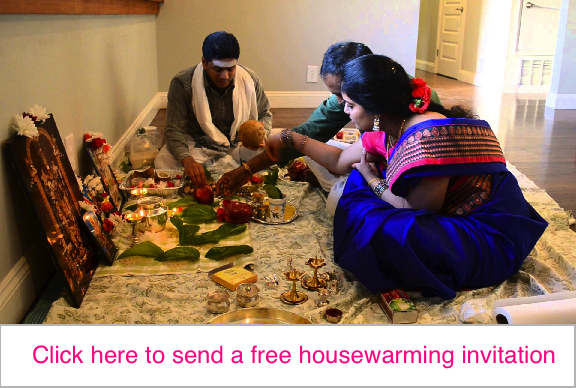 But not you can invite everyone for the housewarming party using free online housewarming invitation tool for Indian. These cards are free of cost and are much more reliable than the traditional postal cards. All you have to do is select your favorite template, enter all the details and send you card to the email ids of all your friends and relatives. Once you have decided the time, date and venue for your party, all you have to do is pen down the words for your invitation. Finding out wording for housewarming invitation cards could be quite a task. The boxes are unpacked, the interiors are set. And it’s time you join the celebration at our new residence. A home is made with love. And it is this love that we would like you, to share with us. Come join us, in making our new house our home. We finally moved into a nest of our own. Please join us for a housewarming party. My family and I request your presence at our new home to celebrate a new chapter of our lives. Our housewarming party is on (date) at (address). Please do come and celebrate with us. We have fully unpacked and ready to party! You’re invited to our housewarming ceremony in our new place at (address) on (date). Celebration starts at (time). We moved to our new place at (address). To celebrate this wonderful event, we invite you to come to our housewarming party on (date) at (time). We will have dinner (or lunch depending on the time of our party) and drinks to commemorate the event. Before you start sending out the invitations, you have to make sure that you have mentioned the date, time and most importantly the new home address. On online invitations, you can also include a map giving directions to the house. It is also important to include your telephone number so that the guests can contact you in case of any confusion. If you are using online invitations for housewarming, your guests can immediately respond through the easy to use RSVP option. Mumbai is one city where there is never any dearth of activity. There are parties almost every day and it is not very easy to locate the best party halls in Mumbai. Here is a list of the best party venues in Mumbai for your reference. This is one of the most popular non-five star banquet space in Mumbai that can be used to host any kind of party. The party hall is big enough to hold more than 500 guests. For any kind of party that has guests from 60 to 600, the Trendy at Tote on the Turf is an excellent venue to host it. The widest range of cuisine is offered here. The prices start from around Rs. 1500 per head. This is yet another classy party hall in Mumbai. The ambience of this banquet hall is excellent and if you are holding the party in the morning, then the natural lighting entering from the French windows is going to be an added attraction. An extensive menu is offered here from Cantonese, Japanese and Thai to Italian, Mexican and of course Indian. You have to spend a minimum of Rs 250,000 for dinner and Rs 150,000 for lunch to book this hall for your next party in Mumbai. This is the only beachfront restaurant in Mumbai. With intrinsically designed interiors and a vast variety of food offered, this is becoming an excellent place to host special wedding parties in India. For those of you who want to hold a special party, private boat bash would be an excellent idea. A boat party is now becoming a popular thing in Mumbai. A party for 100 people can be held with a DJ and food for around Rs. 3,00,000. For every extra hour that you rent the boat, you will have to pay additional Rs 10,000. Now, there are also smaller boats that you can rent for around Rs 7,500 for an hour-long cruise. There are options for those who are not looking for very luxurious options as well. These are among the best party halls to celebrate parties in Mumbai. 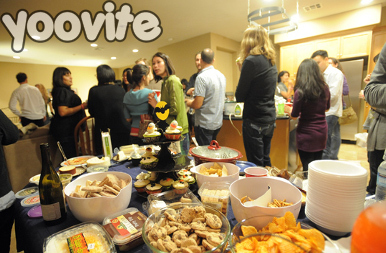 For your next party, use free online invitation cards from Yoovite to invite all your friends and relatives. Online invitations are becoming more popular now for both their ease of use and the economical advantages. It is a very important moment of your life when you are leaving your old house and entering a new one. Buying a house in Bangalore, Chennai, Cochin and other parts of the country is a dream come true for most Indians. This is why the feat of building or buying a new home is celebrated with great enthusiasm in India. Just before you move to your new house, you think of different ways to celebrate the housewarming ceremony of your new home. It is considered very auspicious to hold the Griha pravesh ceremony before you start living in a flat or house in India. A few things that you will need to keep in mind when you are organizing a house warming party in India are as follows. Choose the correct time: Most of the Indians look for auspicious timing to enter a new house. This also has to coincide with a convenient time for all the guests that you are planning to invite for the Griha pravesh function. Use online invitations: You can now use online invitations for housewarming in India to make things much easier. By using online invites, you can easily make a guest list and invite everyone for the party within a few minutes time. Yoovite.Com has a wide range of Indian Housewarming invitation cards for you. Decorations for your home: Keep the decorations simple. Plan all the interior decorations with the help of a designer. Filling your new house with all the furniture is not necessary during the time of the ceremony. You can have simple decorations like lighting candles, spraying room fresheners and keeping the house clean. Food for the ceremony: Most Indians would love to give a feast to their guests on this special day. You can either order the food with a catering service or prepare everything at home. Make sure that you arrange the food according to the timing of the function. It would not be sensible to serve dinner to your guests at 4pm in the evening. Thank your guests: Make sure you personally thank all the guests who made it to your house on the special day. You can also email them after the party saying thanks for coming. Most of us love having parties, but are too scared of how big a hole it is going to make in our pocket. If you love entertaining friends and do not want to spend a lot of money, then the best way to do it is change your house into the party place. House parties in India are very common these days. 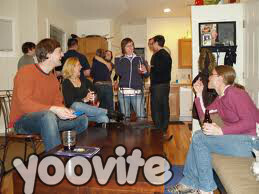 You can also save money on the invites for the party by using free online invitation tools like Yoovite. When you are holding a house party in India, it would be nice if you can base it upon a theme. The theme can be anything like a movie or some nice sitcom that you and your friends enjoy. You could also make it something like a comedy night party or a horror night party. You could also set up the sets of the party in remembrance of some old event that involves you and your friends. There are so many kinds of activities for house party in India. It can either be something like talent shows which can showcase the talents of you and your friends in singing, dancing, acting or something of the sort. You must also hold some nice house party games like housie or dumb charades. You could also just have some chatting with all your friends.Food for the party is something that you have to consider. You can make a menu that would suit all your friends who are invited. The best option would be to hire a caterer for the party. If it is a birthday or engagement party that you are holding, then you must not forget to get a nice cake for the occasion. Another arrangement that you have to make for the party is drinks. It would be best not to include too much alcohol in the party. You can organize some cool drinks, beer and mocktails for the party.